Boots UK is a leading British retailer of cosmetics, pharmaceuticals and everyday essentials, with a prominent presence on most high streets across the UK. Boots also regularly offers discounts and vouchers on its leading products, and UK shoppers can find the latest offers at the Boots hotukdeals pages. I recommend this. 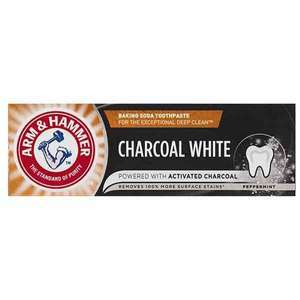 Nice taste, not powdery like lots of baking soda toothpastes. From my local Boots :) try yours! Might not be good but worth trying if need one like I do! Found in Birmingham. Ah, missed out. My siblings will be going Uni soon and I am back next year to study medicine, can't wait for my discount, haah. I didn't use my student discount since I am graduate, but def. a good idea for others! What time did you buy? I bought one at about 1pm today in The Trafford Centre and they were all marked up at £10. Will go back if they are £5 now! Bought this for £10 online (half price) and it's a huge box - it easily looks worth the full value or more of £20 so this is an amazing price! Cheap for a small set order in store and get free delivery to store at Boots. Same price in John Lewis. Thanks for the post do you know how long theoffer is valid for? But your carbon footprint will be on 30x2L bottles being manufactured, shipped to store, collected by your recycling team and recycled... the sodastream works out to cost 33p per 2L of water but no plastic waste at all. Is that with the usual £10 canister fee? Thanks, can't see anything besides going through every product. Any idea if it's vegan? Thansk. Managed to get one. Ahhh this looks scary. I can see the bones inside this horse when it's cut open. When I saw this deal I went to look and see if they had any LEGO sets reduced and they had a £60+ set for £2.30 so I ordered that for £5.30 delivered. I wouldn't have found that deal without your post so thank you very, very much OP. Thanks, just ordered 10 for birthdays and Xmas stockings. Not worth it. It dries up so quickly and u cant really see any tint unless you apply it 15 times. Binned mine.